It’s not just insurers and collision repairers who must wrap their brains around the notion of consistently scanning vehicles. Third-party desk reviewers also need to ensure they’re up to speed. 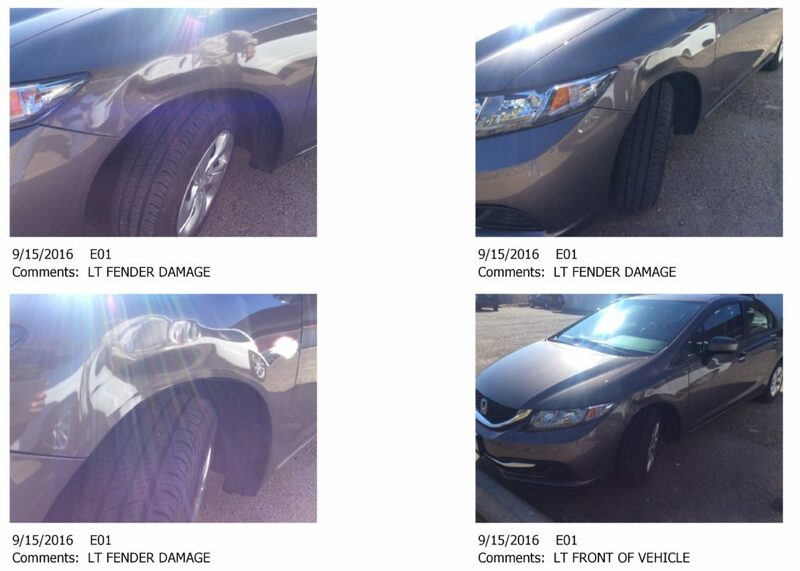 One such situation arose in October 2016, when Idaho-based Cope Collision attempted to be paid for pre- and post-repair scanning on a leased 2015 Honda Civic LX. The $1,384.80 estimate indicated parts being removed and installed, including a headlight assembly, fender, bumper cover, grille, and door trim panel. I am putting this supp thru to pay at your discretion. 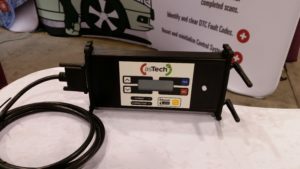 We have been seeing more and more claims coming thru trying to charge this Pre-scan and Post Scan for diagnostic codes. 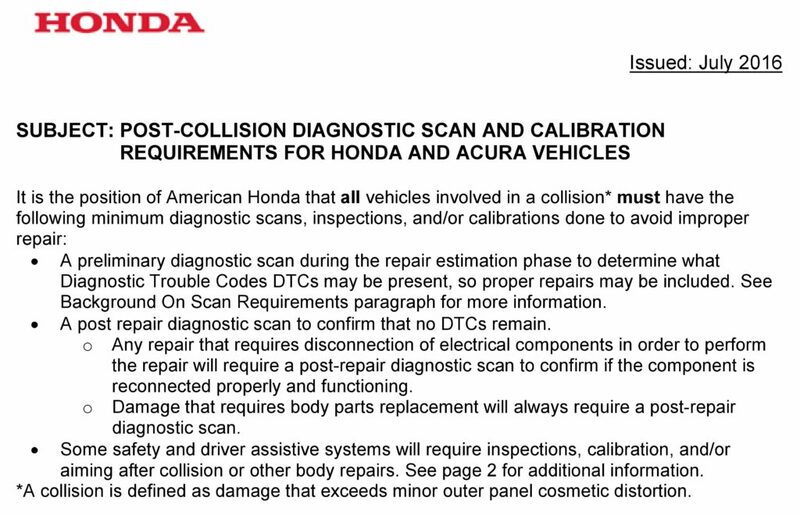 They are using some dealer literature to try and say any vehicle in any type of collision must be scanned before being released to the vehicle owner. I find that the wording is open to interpretation and my thoughts are that if no codes are present when the vehicle is dropped off then the scan is frivolous. I denied this on the first review and now they have submitted the “invoice” for it again. Maybe this is something you could have IDFB review and give us/QCS a solid yes or no to allow or not allow it on claims. Thanks for sending over the information. It is in my opinion, (and this opinion is in NO way to be referred to as a guideline) that the vehicle needs to sustain actual structural damage in order for us to pay for codes. On this claim replacing a fender, and R&I’g the bumper does not constitute having the run codes before and after repairs. Thanks for the heads up, and if you have any further questions please let me know. Idaho Farm Bureau ultimately agreed to pay for a post-repair scan, according to the shop. We asked QCS director of operations John Top about the incident, and he explained that the company had been learning along with the rest of the industry in 2016. “The whole pre- and post-scan was not as relevant” in the past, Top said. “We’ve done some research in the last 30 to 60 days,” he said in November. He said the company had learned that “this is something that’s been there for 20, maybe 30 years” but hadn’t been “brought to the forefront” until 2016. “It’s really come to our attention,” he said. The Cope Collision claim was one of the first QCS had seen with pre- and post-repair scanning invoiced, he explained. “We’ve seen a number of others from that time,” he said. 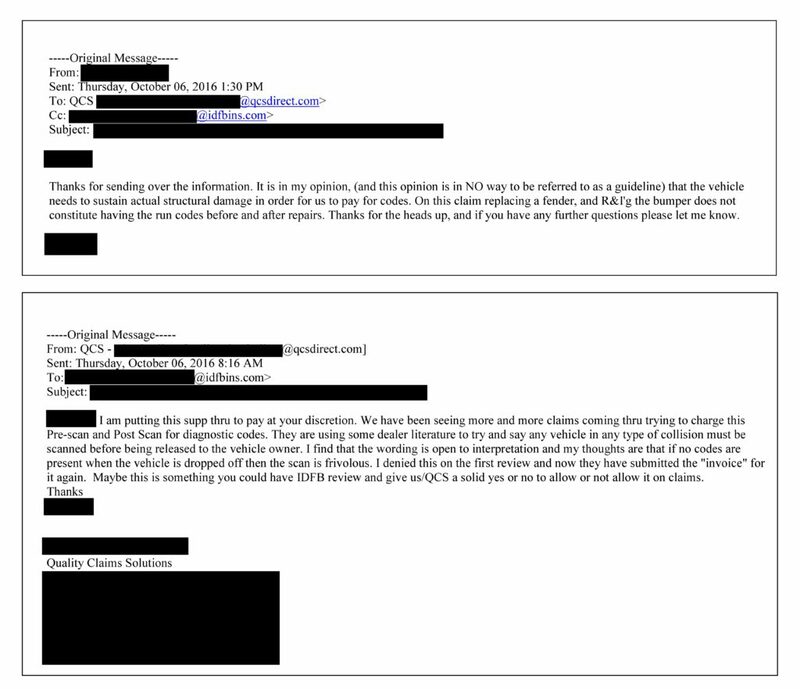 He said the real question (besides what to do in more ambiguous situations) is determining what is a “fair and reasonable charge,” as QCS has seen fees ranging from $49.95 to a couple hundred dollars in the area. “The carriers are looking at that,” he said.